Hydroponics Water Quality Tests Nutrients Chemicals. Hydroponic water samples testing for essential nutrients and chemicals required for biological growth. 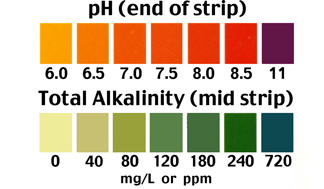 Hydroponics Water Quality Tests Nutrients Chemicals. Water samples from hydroponic ponds are tested for essential minerals required for biological growth. Testing only takes a few minutes per sample. 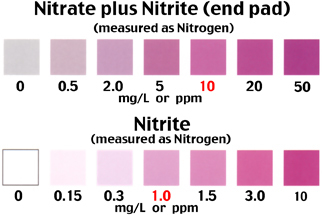 Each water sample is tested for this Set of parameters: Alkalinity, pH, Water Hardness, Phosphate, Nitrate, Nitrite, and Total Dissolved Solids (TDS), (7 tests per Set). Testing water quality of hydroponic pond water chemistry and nutrient levels. Water samples from hydroponic ponds are tested for essential minerals required for biological growth. Testing only takes a few minutes per sample. 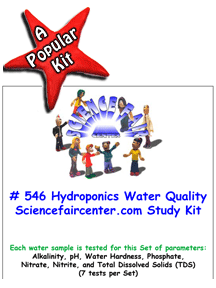 Hydroponics Water Quality Tests Nutrients Chemicals.